On March 6th, we officially launched our brand new logo, held a ribbon cutting for our state-of-the-art medical facility, and welcomed media from all over South Jersey to join us in celebrating the big things happening at Homeward Bound! With our staff and volunteers, Freeholder Jonathan Young was on hand to kick-off the festivities with high praise for what we’ve been doing these last few months. Executive Director, Vicki Rowland, highlighted our mission moving forward while members of the public community applauded their support. Several of our animals also made guest appearances before joining special needs children from Brookfield Elementary School for some 1:1 story time!. Stop by, see what’s new, and celebrate with us! 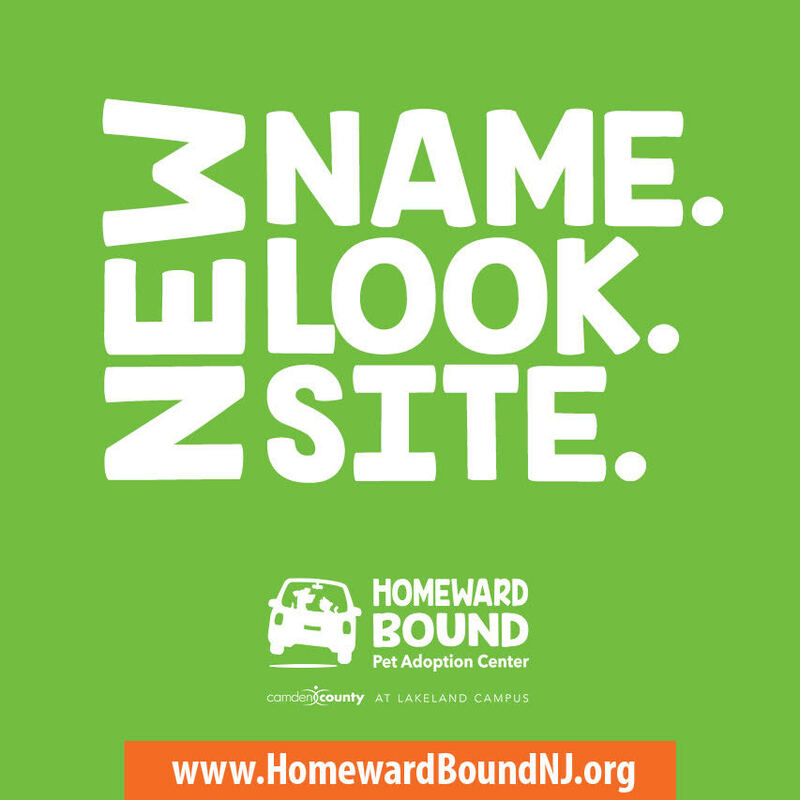 Camden County Animal Shelter is rebranding to Homeward Bound Pet Adoption Center, Inc. This change was done to better reflect our recent expansion and ongoing lifesaving mission to the community. We also recognized that with the rebranded focus, our supporter base could be broadened, appealing to a wider audience. 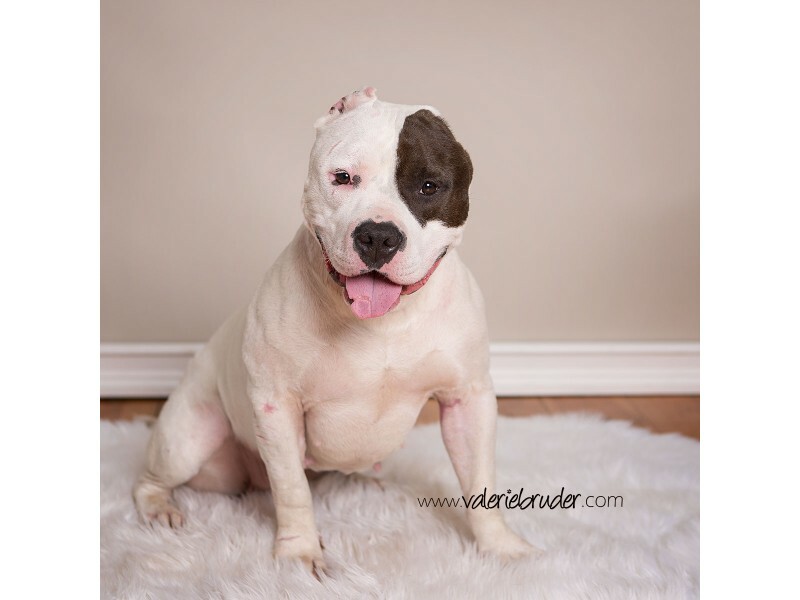 Why did you choose the name Homeward Bound Pet Adoption Center? Homeward Bound Pet Adoption Center name was selected because it shares with the community our purpose to find homes for animals. What was the process for choosing the new name and logo? 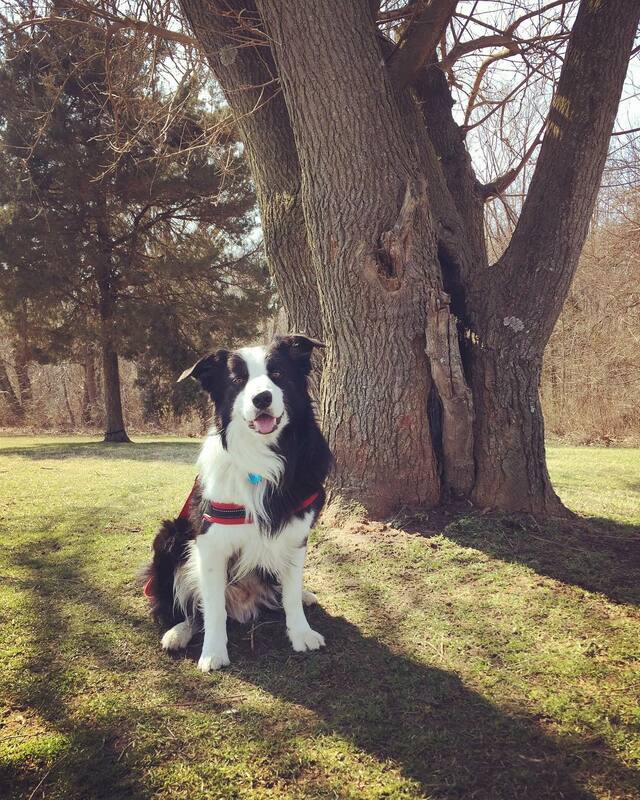 Camden County Animal Shelter partnered with SPARK marketing agencies to identify our new brand. A focus group was formed to brainstorm names followed by a random survey to supporters to finalize name and logo selection. Camden County Board of Freeholders sponsored rebranding efforts of Homeward Bound Pet Adoption Center. Does your federal non-profit status change? No, there will be no change. We will continue to operate as a non-profit organization. Are you still a shelter? Yes, we will continue to provide temporary shelter to over 5,000 animals annually, however our lifesaving work involves so much more. Does the rebranding signal a change in programs and services? 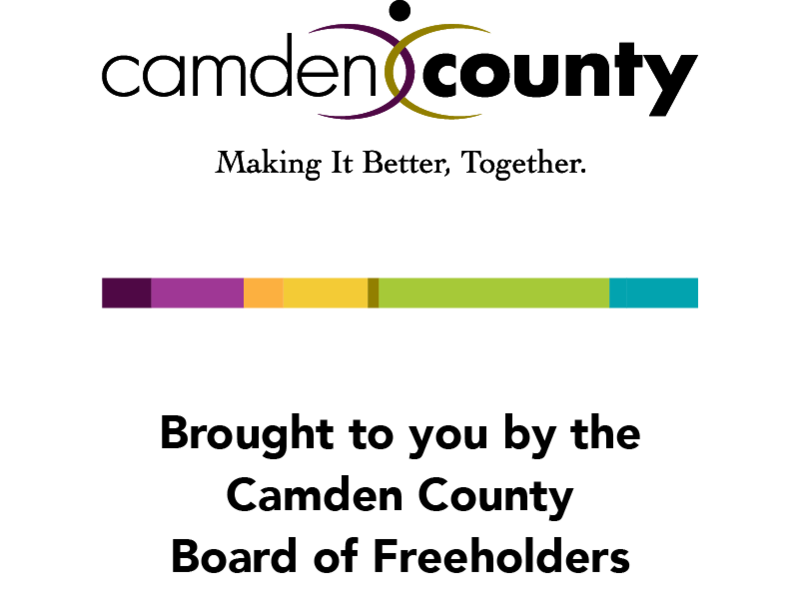 Our new name and logo signal our commitment to our life-saving work and organizational growth. We seek to increase the quality and reach of our programs and services to the community. How will the rebranding help ensure continued growth? We have grown a great deal in the last few years beginning with a shelter improvement plan that began in 2015. That year, the shelter opened a new adoption wing that provided additional housing for 30 dogs and 50 cats. The conclusion of the latest expansion project in November 2018, expanded the low-cost clinic services, enhanced animal holding space, customer service and housekeeping areas. 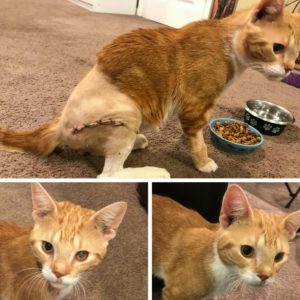 The clinic improvements included a new surgical suite and prep areas for spay/neuter surgeries for shelter animals as well as publicly owned animals. As the quality and impact of our programming has grown, so has our operating budget. To ensure our future success and ability to help more people and pets, we need to broaden our base of supporters and generate new sources of philanthropic support. How is Homeward Bound different than other animal charities? We are the leading animal welfare agency in the region with the highest intake and the highest save rate to reach 90%. Has your address and telephone numbers changed? No. The address is still 125 County House Road/P.O. Box 475 Blackwood, New Jersey 08012. Our phone number is 856-401-1300. Have your website and email addresses changed? Yes. The new website is www.homewardboundnj.org and below are the following staff contacts and their new e-mail addresses. I donate to CCAS by recurring gift. Do I need to change anything? No, you do not need to change anything. We will still receive your monthly donation. If I want to make a donation, what name do I write on the check? Checks can be made payable to: Homeward Bound Pet Adoption Center and mailed to: P.O. Box 475, Blackwood, New Jersey 08012. Will I still receive e-mail correspondence from you? Yes, if you are currently subscribed to receive e-mail communications from us, you will continue to do so. If you’d like to sign up for our mailing list, please fill out the subscription form in the footer of this page.